This week will feature 3 new recipes I have never tried before, so I excited for that. 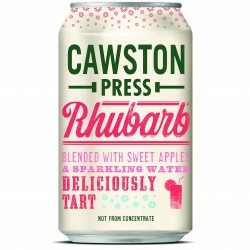 Rob and I will be cooking our date night meal together and enjoying some fizzy apple and rhubarb Cawston Press. If you like rhubarb and custard sweets then this drink is for you! Dinner - Broccoli and brown rice bake/casserole. This is a new recipe for me, I saw it being made as a Thanksgiving side on Pioneer Woman's TV programme. It certainly doesn't look like a casserole to me so I have renamed it a 'bake'. Dinner - Chicken casserole with dumplings. The children love dumplings, I just don't really love grating lard! Dinner - Date Night; Rob and I will make beef stroganoff with brown rice together and I will make an apple tart; Raymond Blanc's "Maman Blanc" apple tart recipe. Breakfast - Whatever I fancy! Fancy having a look at what we bought for this week's groceries? Would you like to read more meal plans? Here is last week's.